Beeswax (Natural Yellow): Beeswax locks in moisture, fosters cells and protects skin from damaging environmental factors. Beeswax effectively softens your skin and creates a long-lasting protective coating against the elements. It also is a naturally nourishing moisturizer as well as being anti-inflammatory, antibacterial, anti-allergenic and a germicidal antioxidant. Blueberry Extract (Certified Organic): Blueberries are powerful antioxidants. Antioxidants help neutralize harmful by-products of metabolism called “free radicals” that can lead to cancer and other age related diseases. Botanical Essence (Certified Organic, Natural Source): Natural alternative to harsh synthetic fragrances that are full of icky chemicals that irritate skin. Calendula Essential Oil: Healing, Gentle Herbal Oil, excellent for sensitive and baby's skin. Calendula officinalis, also known as pot marigold or garden marigold, has been used for centuries to heal wounds and skin irritations. Calendula has anti-inflammatory, antimicrobial, astringent, antifungal, antiviral, and immunostimulant properties making it useful for disinfecting and treating minor wounds, conjunctivitis, cuts, scrapes, chapped or chafed skin, bruises, burns, athlete’s foot, acne, yeast infections, bee stings, diaper rashes, and other minor irritations and infections of the skin. Plus, it stimulates the production of collagen at wound sites to help minimize scarring and assist with stretch marks. This versatile botanical can be incorporated into baths, creams, compresses, washes, salves, ointments, massage oils, baths, facial steams, tinctures, and teas. It is also gentle enough to use for babies, children, or animals. Internally, gargling with Calendula infused water may ease a sore throat, sores in the mouth, and inflammations in the mouth and throat. Not only is Calendula a wonderful healing and medicinal herb, but it is also a lovely and useful plant in the garden! Calendula repels many common garden pests including aphids, eelworms, asparagus beetles, and tomato hornworms, and is a companion plant for potatoes, beans, and lettuce. Plus, it grows quickly and is easy to cultivate from seed. The fresh vibrant petals can be used to color butter, cheese, custards, sauces, or sprinkled atop salads, cakes, and sandwiches. 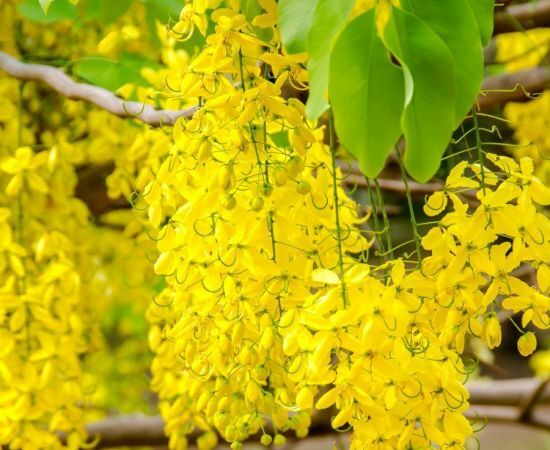 Anti-Rheumatic and Anti-Arthritic: Being a circulatory and a stimulant substance, Cassia essential oil improves the circulation of the blood and brings warmth to the joints and other parts of the body affected by rheumatism and arthritis, thus giving relief from these uncomfortable conditions. Antimicrobial: The essential oil of Cassia inhibits microbial growth and protects from microbial infections. This property is useful for treating microbial infections in the urethra, colon, kidneys, urinary tracts and other parts of the body. Astringent: This property of the essential oil of Cassia does a lot of good. It strengthens gums and hair roots, tightens muscles and lifts the skin. It also helps stop hemorrhaging by contracting blood vessels. Circulatory: Cassia essential oil improves the circulation of blood and thereby facilitates proper distribution of nutrients and oxygen to all the body parts. This property is also beneficial in fighting rheumatism and arthritis. Cetearyl Alcohol (Vegetable Based Emulsifying Wax): An emollient that moisturizes the skin directly and lends a smooth texture to lotions, creams, conditioners, etc. Cetearyl alcohol helps other beneficial ingredients in the lotion penetrate the skin better. Skin care: Clove oil is often recommended for skin care, especially for acne patients. The effects are best achieved when the oil is used in liquid form and spread on a clean, dry rag. You will find clove oil in many products for lessening the effects of aging, like wrinkles, sagging skin, and facial rejuvenation for the eyes because of its rejuvenating and stimulating properties, which can increase blood flow to unhealthy skin and make it look young again! Stress: Clove oil is aphrodisiac in nature and therefore serves as an excellent stress reliever. It has a stimulating effect on the mind and removes mental exhaustion and fatigue. When ingested in appropriate amounts, it refreshes the mind and stimulates brain function. Clove oil also induces sleep and is helpful to patients suffering from insomnia. It is also useful for treating neural disorders such as memory loss, depression and anxiety. Headache: Clove oil, when mixed with salt and applied on the forehead, gives a cooling effect and helps in getting relief from headaches. Clove oil has many flavonoids within it, which are anti-inflammatory agents. When topically applied to the temples or neck, that anti-inflammatory quality will ease the inflammation or tension that so often brings about headaches. For the same reason, clove oil is used as a pain reliever on other parts of the body, like joints and overworked muscles, to provide some relief from painful inflammation or swelling. Respiratory problems: Clove oil has a cooling and anti inflammatory effect, and is frequently used to clear the nasal passage. This expectorant is a useful treatment for various respiratory disorders including coughs, colds, bronchitis, asthma, sinusitis, and tuberculosis. Chewing a clove bud is traditionally recommended to soothe sore throats. helps to soothe, hydrate, and balance the skin and also provides the skin collagen which assists with wrinkles and other signs of ageing. Cocoa Butter also contains cocoa mass polyphenol (CMP), a substance that inhibits the production of the immuno globulin IgE which is known to aggravate symptoms of dermatitis. Coconut Oil (Virgin, Certified Organic): An Amazing skin moisturizer & natural sunscreen , leaving your skin soft and smooth with a healthy, youthful appearance. Its unique molecular structure allows it to easily absorb into your skin while not leaving behind a greasy film. to the acidic environment on the skin to repel disease-causing germs. D-alpha Tocopherol (Vitamin E): Natural source from Non-GMO Soy Beans. Vitamin E is a powerful antioxidant that prevents premature aging & promotes healing & elasticity of skin. Hemp Seed Oil (Virgin, Cold Pressed, Un-Refined, Certified Organic): Hemp Seed Oil is anti-inflammatory, anti-ageing, balances dry skin, fights skin inflammations, helps heal skin lesions, has anti-oxidants, and contains moisture balancing properties. minerals including calcium, magnesium, sulfur, potassium, iron, zinc, and phosphorus. A source of complete protein, contains all twenty know amino acids, including the nine essential amino acids. It also contains Vitamins A, B1, B2, B3, B6, C, D, and E. The green color is a result of the high level of chlorophyll which is naturally present in the seeds. Jojoba Seed Oil (Golden, Cold Pressed, Un-Refined, Certified Organic): Jojoba oil comes from the beans of the shrub like plant that’s wonderful for the skin because it has absorption properties that are similar to our skin’s own sebum. Oat Extract (Certified Organic): Soothing & Hypo-allergenic, oats have been successfully used for the treatment of skin problems and disorders such as acne, pimples, blemishes, eczema, dermatitis, shingles and herpes. Peppermint Essential Oil: Energizing, De-Stressing, Refreshing aroma. Known to help relieve headaches, depression & fatigue. Phenoxyethanol: Paraben Free Preservative to inhibit mold & bacteria. Safflower Oil (Certified Organic): (Orange-flowered, thistlelike plant, part of the Daisy family.) Highly emollient acting as a protective barrier to prevent water from leaving your skin while softening & smoothing rough, dry skin. Stevia Root: A Plant native to South America, used as a natural alternative to artificial sweeteners. Zero Calories. Safe for Diabetics.